Most bills are public bills which change the general law. The majority of public bills that become Acts of Parliament are introduced by a government minister and are known as government bills. Bills brought in by other members of Parliament are known as private members' bills. These should not be confused with private pills. Private bills are proposals for legislation affecting the powers of particular bodies, such as local authorities, or the rights of individuals. These are subject to a special form of parliamentary procedure. Hybrid Bills are a cross between a public bill and private bill, (that is, public bills which affect the specific private rights of people or bodies). They are generally introduced by the government, but are fairly rare. 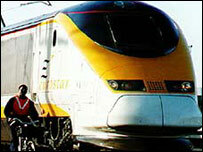 The most recent example is the bill to enable the construction of the Channel Tunnel Rail Link to proceed (passed in 1996). As with private bills, the passage of such bills through Parliament is governed by special procedures which allow those affected to put their case.